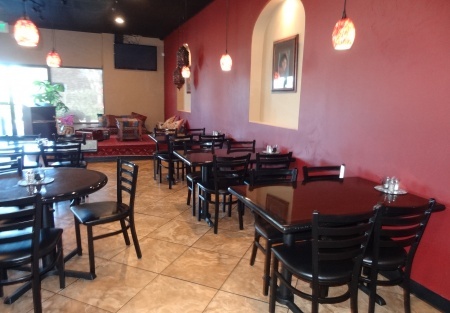 Steal This Mediterranean Restaurant in Prime OC Area! Recent and Huge Price Drop on this very nice Business! Don't wait to make your dreams come true. Located in South Orange County-this is a steal! Restaurant Location is what owners look for and this restaurant is visible from the freeway! You can keep the current concept or change it to bring your own. Either way, this building is immaculate and the location is wonderful. Do yourself a favor and drop by this South Orange County Freeway spot! Current owners are looking into adding Hookah because clients are asking for this. Possible concepts that will work here include Thai, Indian or Asian. Full Hood and Walk in plus all equipment needed to run your own sucessful restaurant. With the recent price drop, this restaurant is going to get a lot of action. Owners other business ventures pull them away from this very popular and sucessful Mediterranean restaurant. Delicious food as evidenced by a huge Yelp audience, and the current, renown chef leaves his recipes so the next owner may continue in this profitable restaurant. Located in a populated area in Orange County with clients seeking their home-town mediterranean cuisine, a proud owner of this restaurant would have to do very little to continue with the present concept. Sales are increasing each month and current catering business continues to grow. Open 7 days serving lunch and dinner, this hot spot has a wide audience coming in for local favorites such as beef kobidah and chicken tika kabob. 41 license, catering and private parties add to the bottom line. Seating for 96 inside and a comfortable patio will seat 23. 2472 sq. ft. Turn Key. Full kitchen with everything you need to expand the concept. Grease traps in, lease offers the opportunity to grow with 4 years remaining plus 3 options of 5 years each. 2472 sq ft plus two restrooms and a small entertaining area. This opportunity won't last long and smart buyers will want to look at this one!